Dhanush, Kajol and Soundarya Rajinikanth at the music release of VIP 2. Kajol is all set for the release of the release of her second Tamil film Velaiilla Pattadhari 2 (Lalkar in Hindi) and the actress thanked her co-star Dhanush and director Soundarya Rajinikanth for "breaking the myth (to her) that I cannot speak in another language." But, here's the catch - Dhanush and Soundarya sort of tricked Kajol. 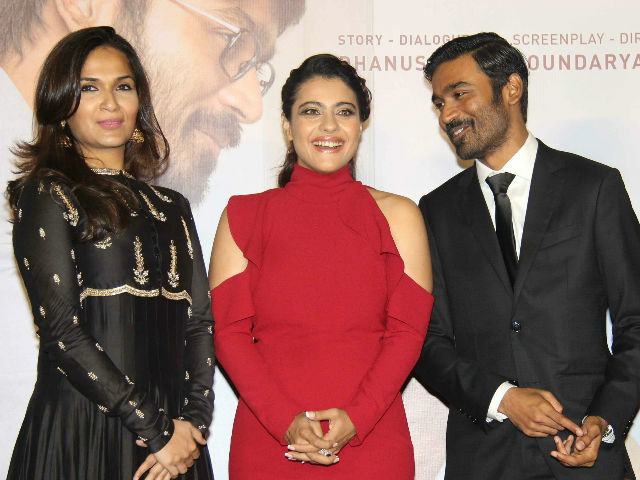 At the music release of VIP 2, Kajol told media: "I was lied upon saying that you don't have to speak in Tamil. They proved me wrong the first day because they gave me a long script with two scenes and huge dialogues. 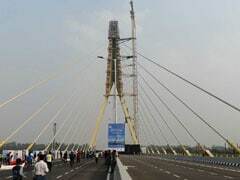 They said at least try," reports news agency IANS. Kajol's Tamil debut film was Minsara Kanavu, which released in 1997. Kajol added: "I thank them as they broke this myth which was in my head that I can't speak in another language and I can't act in another language. Velaiilla Pattadhari 2 has been one of the most professional experience and the credit goes to Dhanush and Soundarya." Kajol was last seen in 2015's Dilwale opposite Shah Rukh khan, which failed to resurrect her career in Bollywood after a five-year hiatus. When a reporter asked Kajol, if she's working in Tamil films because she cannot find good projects in Bollywood, the Gupt actress replied: "I always look forward for good script. It doesn't mean I haven't got good script in Hindi. It was just that I loved this one." Velaiilla Pattadhari 2 or VIP 2 is the sequel to Dhanush's 2014 film Velaiilla Pattadhari, which was directed by Velraj and produced by Dhanush. Velaiilla Pattadhari 2 also stars Amala Paul.